The 2012 Olympics begin tonight with the Opening Ceremonies in London. I love the Olympics. Put me in the category of those who are enamored by the pageantry, the individual stories, the drama, and all the different cultures. The corny broadcasts were made for people like me. Because I think there are a lot of us. In the sports design world, there’s a lot to look forward to every four years: the Olympics logo (this year’s, unfortunately, is probably the worst ever), the broadcast graphics, the signage at all the events, and of course…the uniforms. 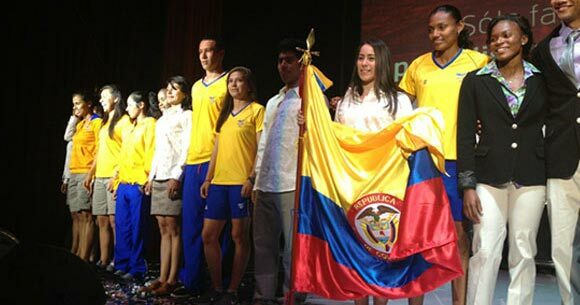 There are so many countries, all with their own unique colors and brand, and they all unveil new uniforms for this one event. So let’s take a look at all the ones that I could find before the Olympics. 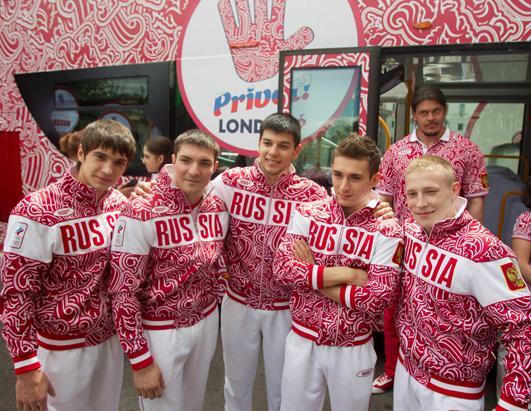 And I don’t mean the clothes they’ll be wearing to the Opening Ceremonies. You can read a fashion blog if you want to see those. I mean the ones they’ll be competing in. Obviously, not every sport is represented, but track, basketball, soccer, and some others are usually on display. Let me know any other countries you’ve seen in the comments below. First up is Australia, whose uniforms are made by Adidas. There’s not a whole lot to them; pretty comparable to previous Australian uniforms. And I finally looked up why Australia always wears green and yellow instead of red, white, and blue, like on their flag. Green and gold were established as the country’s official colors in 1984 and came from a common Australian plant, the Wattle. Brazil’s uniforms are made by Nike. Again, not much to them. 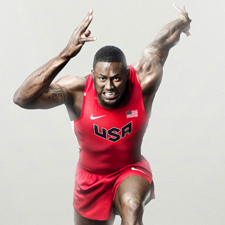 I like the “V” shape on the track uniforms, but as you’ll see, Nike used it for more countries, which I don’t like. I want to see each country have its own unique identity. Canada has Nike’s “V” shape as well, and I think a little too much black. Canada should be red and white, using black as an accent. Estonia got the Nike “V” template, and what appears to be the same typeface as Canada. At least Brazil got their own typeface. The only French Olympic uniforms I could find were women’s gymnastics. So…there they are. It was at this point in writing this point that I realized Nike just gave every country the same uniform like they were a high school team with 3 templates to choose from out of Eastbay. Germany did get their own typeface, though, albeit not an exciting choice. This picture also furthers my conception that all Germans are scary. 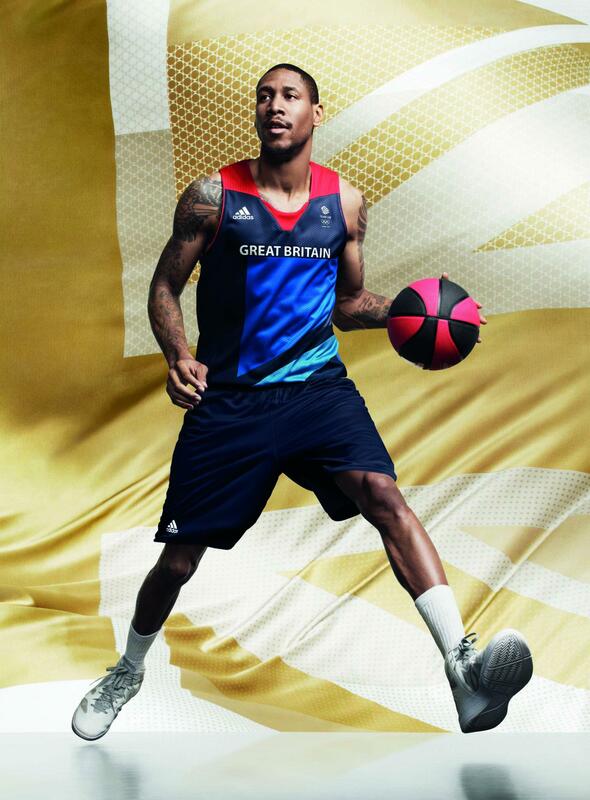 Great Britain got a lot of press for their uniforms, designed by Stella McCartney. One criticism is that there’s not enough red, which I would agree with, but I like what she’s done with the flag and colors. The flag is cropped uniquely on different sports’ uniforms, and they’ll certainly stand out from a sea of “V”s on the track. The basketball uniforms they’ve been wearing, however, are terrible. And the ones Stella designed aren’t much better. Ireland (which, as it turns out, is not part of Great Britain – or the UK!) 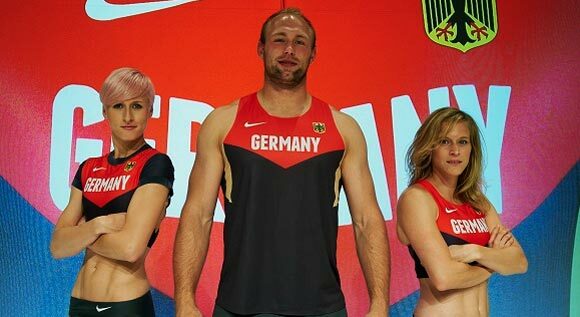 has unveiled track uniforms made by Asics, and they’re not very good-looking. The gradient isn’t nearly as nice as the clean lines of the Nike kits, and the green doesn’t look like what I’d think of as Irish green, but maybe I just think of Irish green incorrectly. And the accents look to be more yellow than orange, Ireland’s other color. Jamaica has a lot of great sprinters, and that’s who modeled their new uniforms, so that’s all we’ve seen. Apparently daughters of famous singers make the best Olympic uniform designers, because like Paul McCartney’s daughter with the Great Britain uniforms, Bob Marley’s daughter, Cedella, designed the Puma Jamaica uniforms. They’re interesting for sure, and they feel very Jamaican, which is more than the Nike countries sharing a template can say. And if they have any extra sprinters, they can just compete in 2 years in bobsledding. All I’ve seen of Japan’s uniforms are their gymnastics duds. Gymnastics uniforms are generally a bit different than the other sports, so there’s no telling what the rest of their uniforms will look like. Mexican athletic apparel company Atlética unveiled many of their Olympic teams’ uniforms. They’re not very consistent between sports, but some are interesting. I like the detail on the front of the soccer uniforms, and the black and white uniforms in the top left and bottom left of the picture above are interesting. Models also showed off some other uniforms, here and here. This is all I’ve seen of the New Zealand Olympic uniforms, but they could be pretty cool. The black and gray will stand out amongst other countries, kind of like the Brooklyn Nets could do if their uniforms end up looking good. And while I don’t care about the uniforms teams will wear into the Opening Ceremonies, New Zealand’s look pretty cool. Russia got the Nike “V” template, but with the most striking color combination. It’s not Russia’s blue, but it’s more unique than the current national shade. The typeface is a nice choice, too. I’m not sure what they’re wearing these to, but man are they horrible. 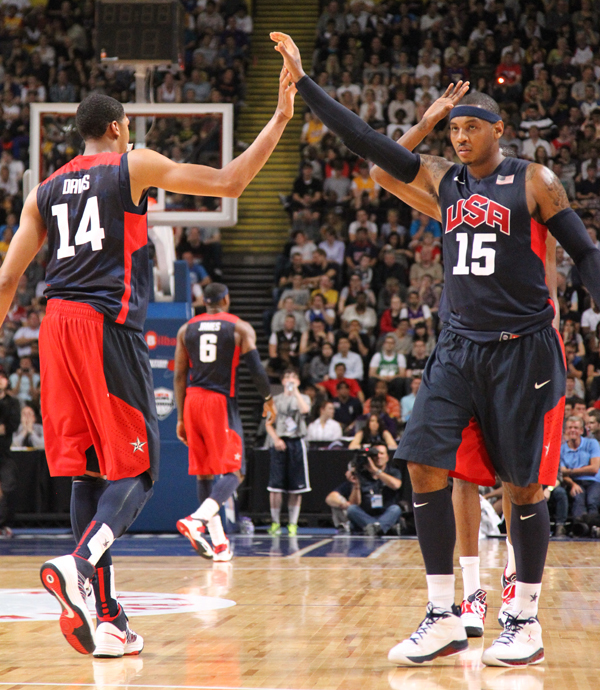 When I first saw Nike’s USA lockup, I didn’t like it, but it’s since grown on me. 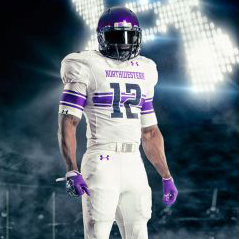 What’s weird to me is that it faces one way on the basketball uniforms and the other on the track uniforms. On the track ones, it fits into the Nike “V,” but the lockup looks better the basketball way. I really like the front and sides of the basketball uniforms; it’s when you turn them around that things get ugly. Check out the backs. It makes it look like the players wore the tops from one set and the short from another. Not a fan. The subtle stars and stripes are nice, though. The non-Nike sports will vary, like volleyball and swimming above. I don’t like that the swimsuit is more royal blue than navy blue as it should be. 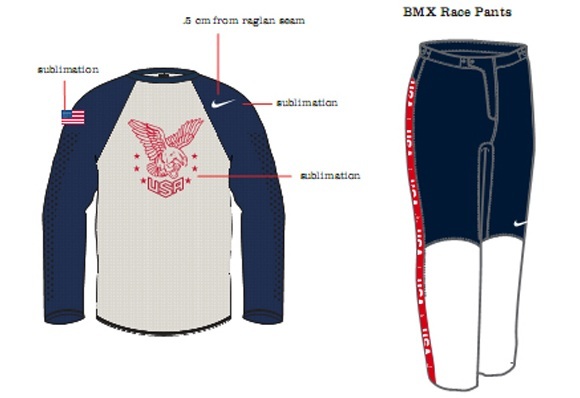 Probably the most unique uniform I’ve seen is the USA BMX uniform, also made by Nike. It looks like a vintage USA baseball-style shirt. I’ll have to see it in person before I make a final verdict, but it might be a little hokey. It’s in the same vein as the US Olympic snowboard pants that looked like jeans, but that was more subtle than an eagle drawing that looks like it could be an Old Navy t-shirt, and I really liked it. Er – no it’s not. The team is “Great Britain”. The term “and Northern Ireland” (which would make it UK) is not used as Ireland compete to represent the whole island, north and south. Some Northern Irish atheltes however choose for a variety of reasons to appear for GB under the Union Flag, rather than for Ireland under the tricolour. Ireland and Northern Ireland are two separate countries. Northern Ireland still falls under Great Britain. However, it also has an independent soccer federation which is why none of their players were on teh Team GB soccer team. Soccer is pretty much the only sport that has that issue for Team GB. 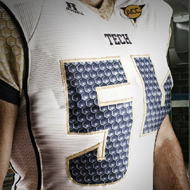 I have been wondering for years where all the competition uniforms come from, where they are made and who makes them. I have now saved your site in my favorites so I can keep checking throughout the games! What do you think about the Rio 2016 Olympics and Paralympics logos ? thx im glad australias first i come from there! i was also wondering if different sports have different uniform, i spose not. Our firm name is successful sports. Our firm is in Sialkot Pakistan. Sir we manufacture Soccer kits and Basketball uniforms ETC. We export these things since 2004. Our firm have high quality products. We guaranted that our products is better than other firms. We have best high quality fabric in sialkot. Sir I,m waiting for your answer i,m sure you are interesting to work with us. Japans outfits looks good to me,I like the sun with gradient design.I have a website for basketball jersey and tees designs.This is the link to youtubehttps://youtu.be/4C0X3-4AKIw..Pay a visit to http://www.pinoyhoops.hostei.com. SHIRTS, TROUSERS, SHORTS, GLOVES and more…..